It is our desire to provide worshipful experiences that will bless all who share in the family of Chimney Rock Baptist Church. Each day we walk together with Christ as our guide. Our church’s journey has been a long one. It is a journey that leads into the future; a future we pray will end only with the return of our Savior and King. On that great day, may we join all heaven saying, “Blessing and…glory…be unto Him that sitteth upon the throne”. 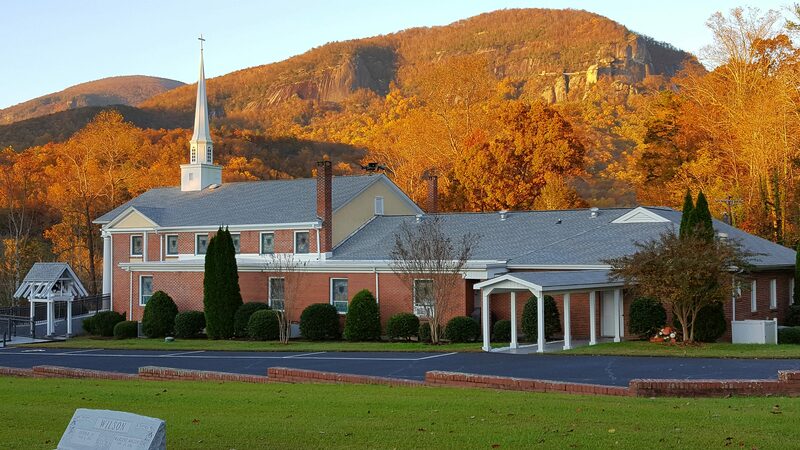 Since 1969, Chimney Rock Baptist Church has taken the message of Christ’s love and redemption outside its walls to the shores of Lake Lure. What began as a way to provide a church service for tourist families has grown to be an annual tradition. 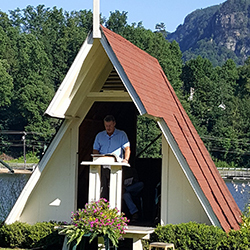 Services are held at the Lakeside Chapel each year from the first Sunday of May through the second Sunday of October. 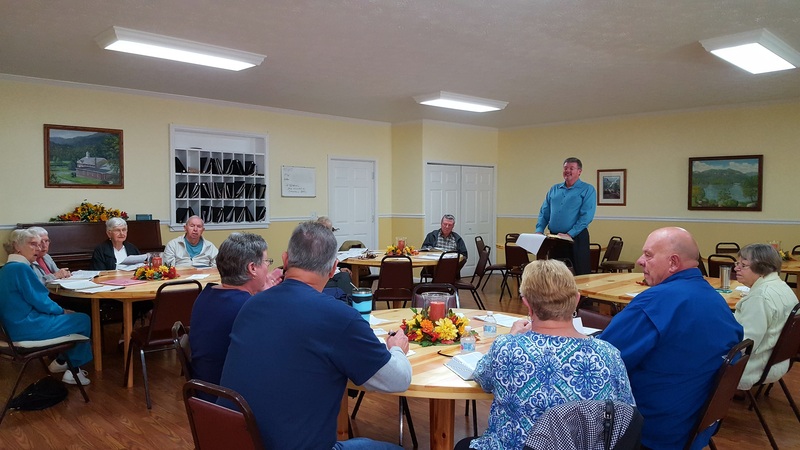 Outdoor enthusiasts, fisherman, bikers, beachcombers and cyclists as well as locals who have no church affiliation gather each week to hear God’s Word shared in a casual and relaxed setting. We enjoy “Bible Study” every Wednesday morning at 10 am in a casual setting. “Glory comes from God the Father. Even though we are mere creatures on the tiny planet of Earth, God’s glory is revealed through us. We are made in God’s image, and we are saved by Jesus, the Son of God, through whom heaven and the whole universe were created. There is something very wonderful about our place in God’s creation. As creations made in God’s image and as believers in Jesus Christ our Savior, we are transformed. We emit God’s glory. Just days before the huge “Party Rock Fire” of November 2016 in Lake Lure and Chimney Rock Village, this photo was taken by local photographer Mike Kubal. He was driving past the beach when he saw the sky and pulled over in front of our Lakeside Chapel and snapped a picture. The wildfire burned for 25 days and consumed over 7,000 acres prompting large evacuations in the local area. 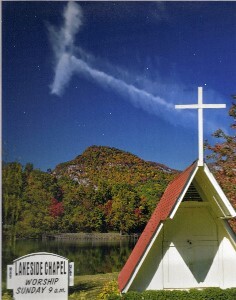 *Lakeside Services are held at the Lakeside Chapel next to the beach. This service is seasonal from May – October. 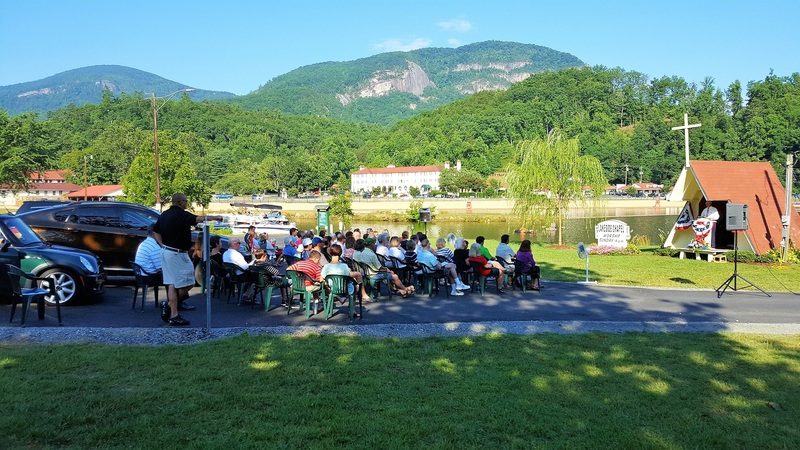 Since July 7, 1872, Chimney Rock Baptist Church has proclaimed the Gospel of Jesus Christ and invited individuals of all ages on a path towards faith. It is our desire to provide worshipful experiences that will bless all who share in the family of Chimney Rock Baptist Church. Join us this Sunday! *Lakeside Services are held at the Lakeside Chapel next to the beach. We invite you to ‘like’ us on Facebook to keep up-to-date with our latest worship information and special events!